Most times when we have guests, we may not know what to offer them in terms of appetizers. There are thousands of appetizers to choose from. Some time back, I couldn’t differentiate an appetizer and the main meal. This made me to find out the difference. Spanish appetizers are also known as tapas. These are foods that are served before a meal, in between meal times, or it may be the main meal that is served. Some people call them starters or antipasti. They can be very simple or complex depending on the time you need to make or serve them. They are served at banquets, weddings, dinners and other events. But you can make it a habit of serving your family always with these tapas. My family loves artichokes with clams; this is what I prepare for them mostly. Before you serve any appetizer think of the foods that will compliment it. The foods should vary in taste and flavor appeal. 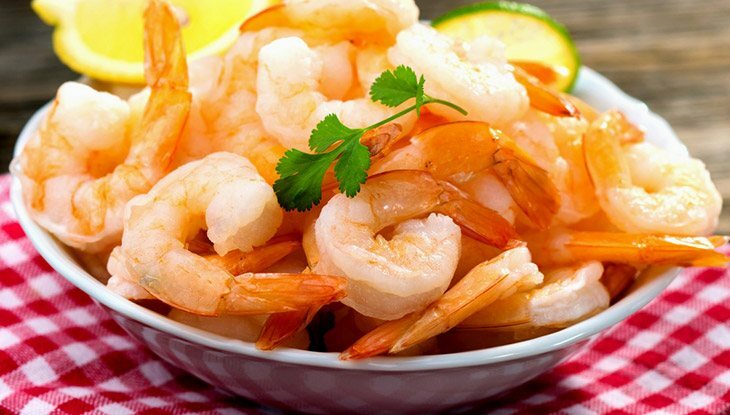 For example, if you are the host and you want to serve jumbo shrimp, remember that some of your guests may be allergic to sea foods. You can prepare a cheese plate, vegetables, and fruits for them. 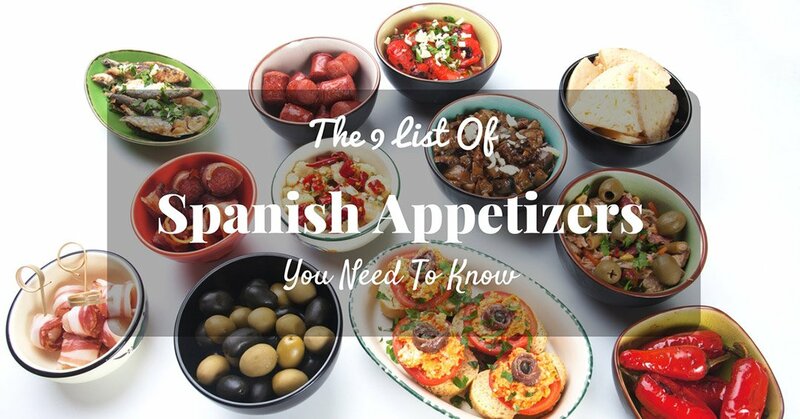 The following is the list Spanish appetizers that you need to know. Try to prepare one or two of these appetizers. This is a very simple appetizer. You don’t need to cook it. The apple slices can be tossed in lemon juice to retain their color. They are then mounded with quince paste and Manchego cheese. 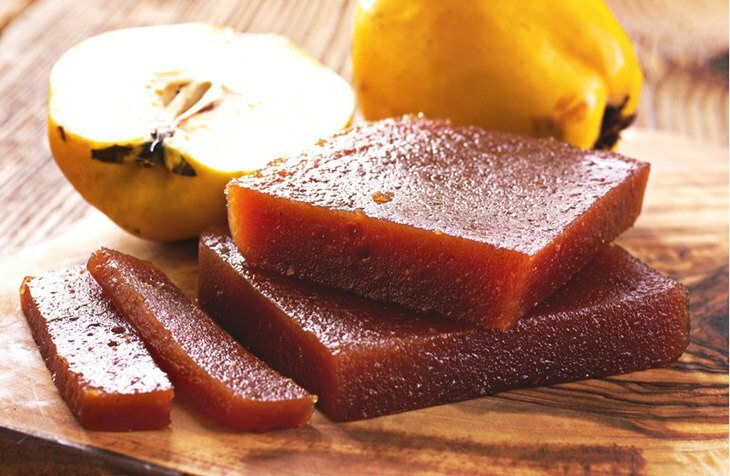 The quince paste made from quince. You can find it in many food stores or supermarkets. You may like the contrasting flavor. That is, the apple, salty cheese, and the sweet paste taste. How To Prepare The Quince With Apple Slices And The Manchego Appetizer? The amount of each ingredient will depend on the number of people you would like to serve. Cut the apples into small slices or to any size that you want. Put the apple slices into a bowl with lemon juice. Make sure your bowl is nonreactive to the lemon juice. In the center of each slice, mound some quince paste. Add some salt. Cut the Manchego cheese and put it on each apple slice. The appetizer now is ready to be served. Arrange them on the serving tray. This can be eaten with bread or by itself. There are different versions of this marinated Manchego; they include vinegar, fresh chiles, olives, and garlic. To have the best flavor with the olives, marinate it one week earlier. If you need to slice the cheese, consider purchasing the best cheese slice﻿r. How To Marinate The Manchego Cheese? Manchego cheese sliced into cubes, Thyme, Olive oil, Rosemary, and Dried chiles. Heat the olive oil with the thyme, chile, and rosemary. Use medium heat. Let the oil cool to room temperature. Place the manchego cheese slices in a bowl. Then, pour olive oil into the bowl to cover the manchego. Put in the fridge while covered for approximately five hours. Remove the bowl from the fridge some few hours before you serve the guests or your family. Transfer the manchego cheese to a serving tray with toothpicks. 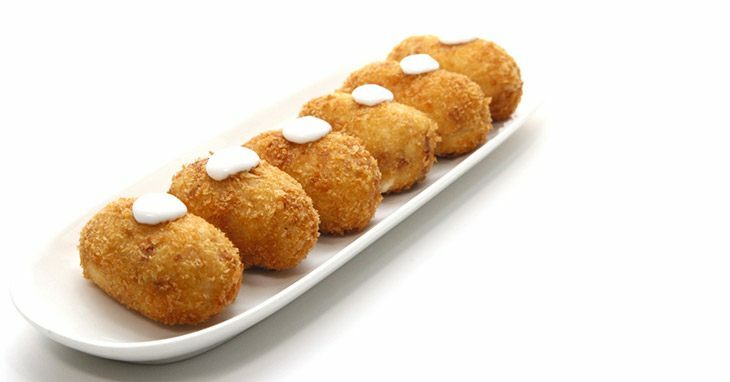 It is also known as Croquetas de Jamon. It is common in bar counters and homes in Spain. It can be served as an appetizer, dinner with a salad or light lunch. Hard boiled eggs in the recipe can be replaced with Jamon Serrano, cheese, minced shrimp, finely cut salt cod or any vegetable. You can prepare it a day earlier. This is because the béchamel needs some time to set. This makes it easier to handle when shaping the appetizer. 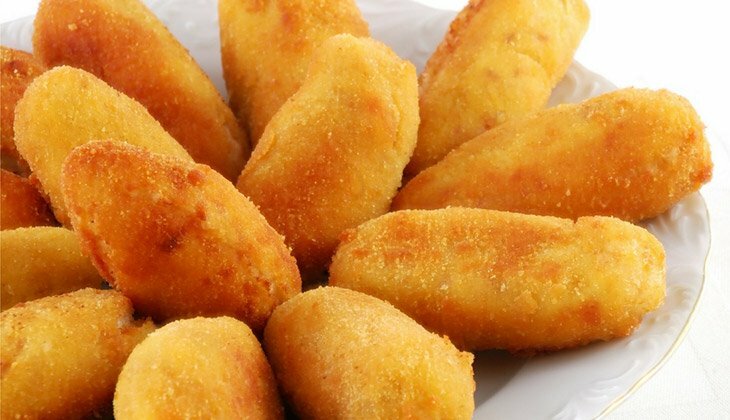 How To Prepare The Ham Croquettes? Heat the butter over medium heat. Add the onions and garlic. Cook until they are tender. Transfer them into a large bowl. Add ham, cheese, and bread crumbs. Stir the content. ​Beat the eggs and add to the ham content. Add salt and pepper to taste. Use your hands to make round balls out of this mixture. ​Put the remaining crumbs on a plate. Beat some eggs, add some water and stir. Dip the balls in the egg content and roll on the bread crumbs on a plate. In hot oil, dip the balls and Sauté until brown. Use a paper towel to remove the excess oil from the balls. This is prepared with Manchego. These Croquetas, the artichoke is put in a mixture of rice. They open up to show the melting cheese at the center. 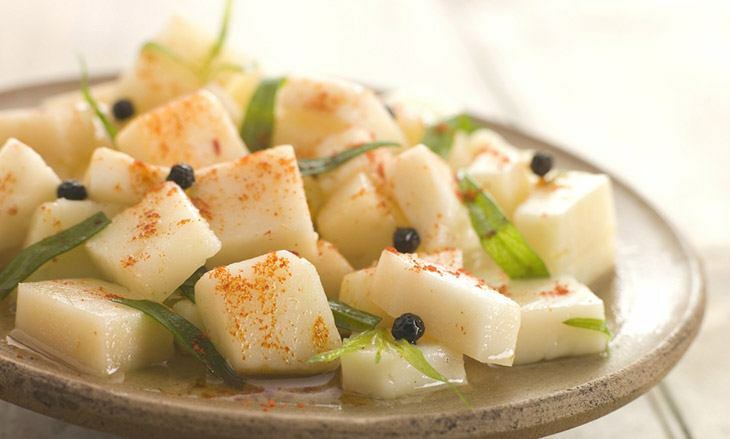 The Manchego has a wonderful flavor that makes the rice cakes tasty. ​Melt the butter over medium heat. 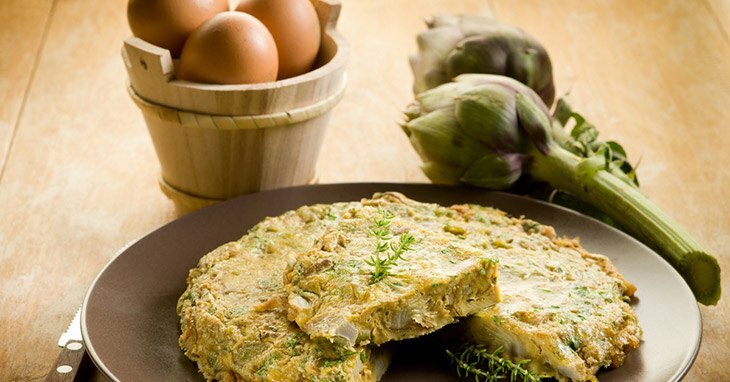 Fry the artichoke, garlic, and onions for at least five minutes. Add rice and cook for a minute. Add stock in four spots. Stir until all is absorbed. Ensure that rice is cooked. ​Add the parmesan cheese, pepper and salt. Transfer the content into a different bowl and refrigerate for some few hours. Using a spoon remove some of the rice mixture into your palm and add some manchego cheese. Shape the rice with the cheese to balls. ​Flatten the balls and dip in corn meal. Shake off the excess. Fry the balls for approximately five minutes. ​Drain the oil and serve while they are hot. They come from the French Croquetas. They are very popular in Spain. You can mix béchamel base with any of your favorite ingredients. Milk, Flour, Butter, Tomato puree, Salt, black pepper, lemon juice, cooked prawns, bread crumbs, parsley, eggs, and oil. Put the butter, milk, and flour in a pan, add salt and pepper to season. Heat the mixture until it thickens, remove from the heat. Add the tomato puree, parsley and then season again to taste. Transfer the content to a bowl and allow cooling. ​Add the prawns as soon as the content cools down. Sprinkle the crumbs on a tray. Beat the eggs in a shallow dish. Put flour on another plate. Divide the mixture into pieces. Shape using the hands. Dip the balls into the flour, then into the eggs and finally in the breadcrumbs. Drain them and serve while they are hot. This is a vegetable that is common in Spain. You get it fresh from the market. They are usually sautéed together with ham. It can be done with any white sauce and meat. It can be served when cold. They can be prepared together with salmon, capers, tuna fish, anchovies and piquillo peppers with the best olive oil. This is my best. I have been using this for breakfast. But, when I learned that it is an appetizer, I was so surprised. 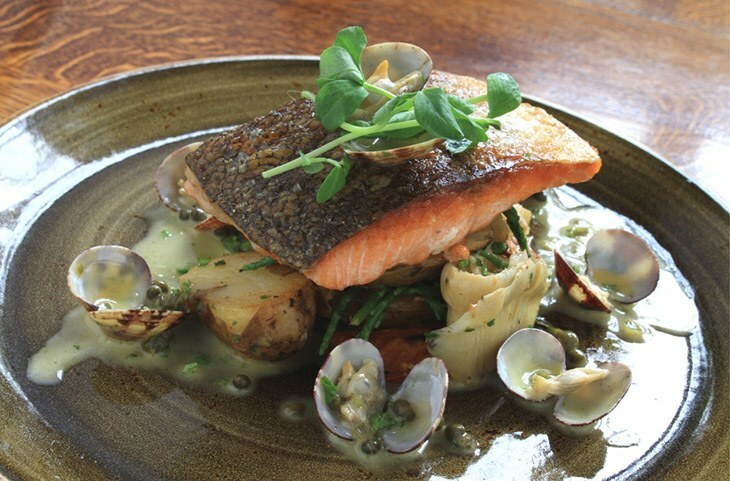 They include Artichoke hearts, garlic cloves, olive oil, fish stock, flour, clams, and wine. Deep fry the garlic in frying pan. Drain the artichoke. In the wine and stock, add the flour and mix. ​Add the clams and cook. As the clams open up, add the artichokes and cook for some few minutes. This is a very simple recipe. This can be served when preparing a picnic party or a barbecue. You use the tomatoes as containers to hold the Spanish stuffing. They include tomatoes, black pepper, bread crumbs, garlic, thyme, parmesan ﻿cheese, salt, and pepper. 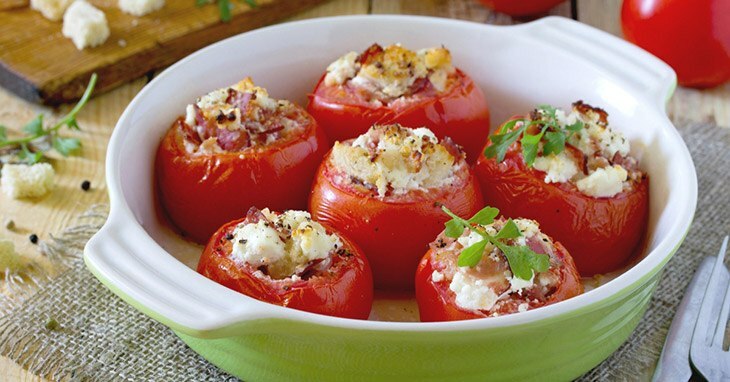 ​Heat the oven as you cut the tomatoes on the top. Scoop the center part of each tomato. Add salt and pepper to the tomatoes and put them in a baking container. ​Combine the garlic, parsley, thyme, cheese, pepper and the crumbs. Put the mixture into each tomato. ​Bake them for approximately thirty minutes. As they turn brown and the tomatoes soften, allow it to cool. Now you can enjoy this amazing appetizer with your guests and family. Most people love grilled shrimp. It is served in most bars. It can be eaten as you take a glass of cold beer. You can also prepare this at home and enjoy with your family and friends. It is also known as Gambas a la plancha. I was so surprised when I learned that this is used as an appetizer. They include; peeled ﻿shrimps, pepper and salt, cooking oil, fresh onions, seafood stock, unsalted butter, lemon zest or sumac, and red pepper. To the shrimp, sprinkle pepper and salt. Heat the oil using the grill pan, over medium heat. Cook the shrimp partially when the oil is hot. As the shrimp starts to turn color, remove them before the tails start to curl. As you finish the shrimp, grill the onions in the same oil for two minutes. Remove the onions and put stock. As you stir, add butter. As it melts, add lemon zest or sumac and the red pepper. ​After three minutes, add the shrimp and the onions. Let the shrimp to just warm. The appetizer now is ready to be served. This appetizer can give you an accompaniment to a glass of chilled sherry. To have a better version, on the mayonnaise add lemon juice before combining with the salad. This is the simplest appetizer that you can prepare within minutes. 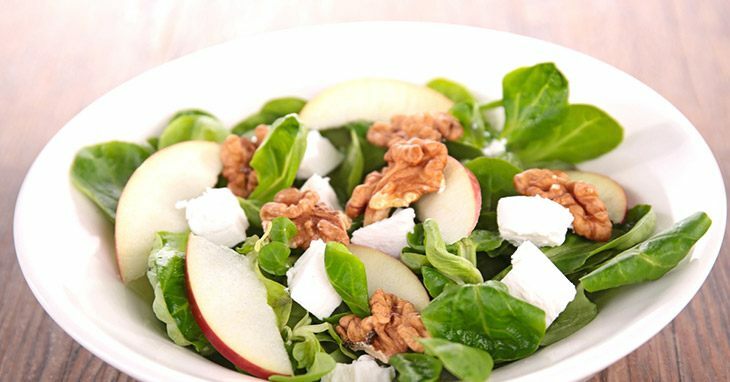 They include: red apples, green apples, torn romaine, cheese, toasted chopped walnuts, onions, apple cider juice and vinegar, honey, salt, cranberries, pepper and walnut oil. Mix the first 8 ingredients in a large bowl. Use another small bowl to mix the honey, salt, pepper, vinegar, and cedar, then, add oil slowly. Pour the mixture into the large bowl and toss. The appetizer is ready. You should serve it immediately. These are some of the appetizers that you can serve your family or guests. Most of them are very simple to prepare. They don’t need much of your time. Always think of the meal that will be served after the appetizer. I hope you will learn and enjoy. If you have any comment please feel free to post here. You can also share the list with the ones you love.